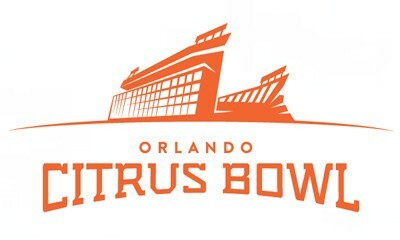 Background: The City of Orlando’s Citrus Bowl Stadium first opened in 1936 and has experienced numerous expansions and name changes throughout the years. 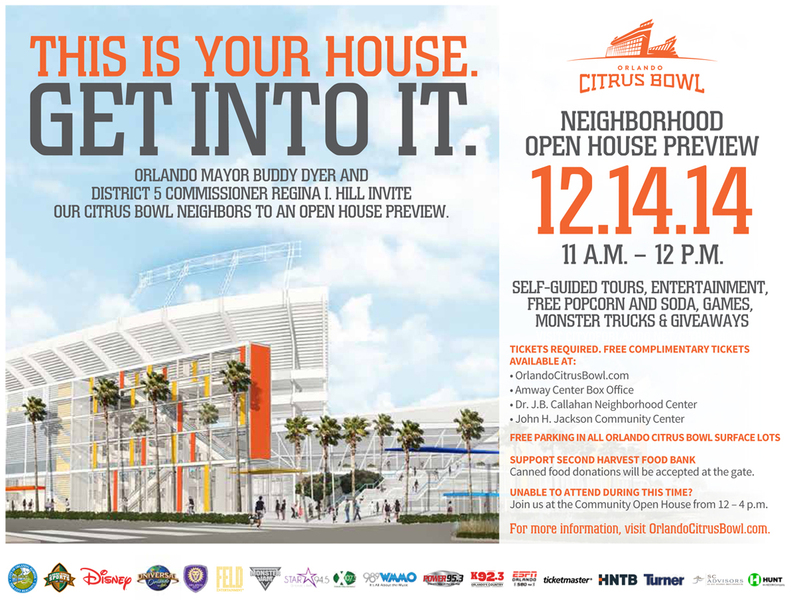 Last year, the City of Orlando embarked on a 10-month reconstruction project where 90% of the venue was torn down and rebuilt into a state-of-the-art venue capable of hosting world-class events including the Buffalo Wild Wings Citrus Bowl, Russell Athletic Bowl, Florida Blue Florida Classic, Monster Jam and concerts from major acts like the Rolling Stones. 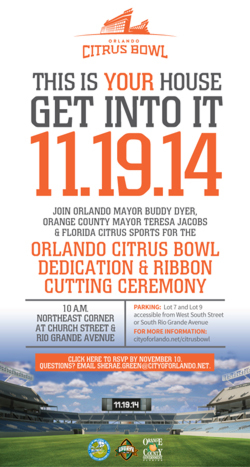 To celebrate the completion of the reconstruction project, Orlando Mayor Buddy Dyer hosted numerous opening events. 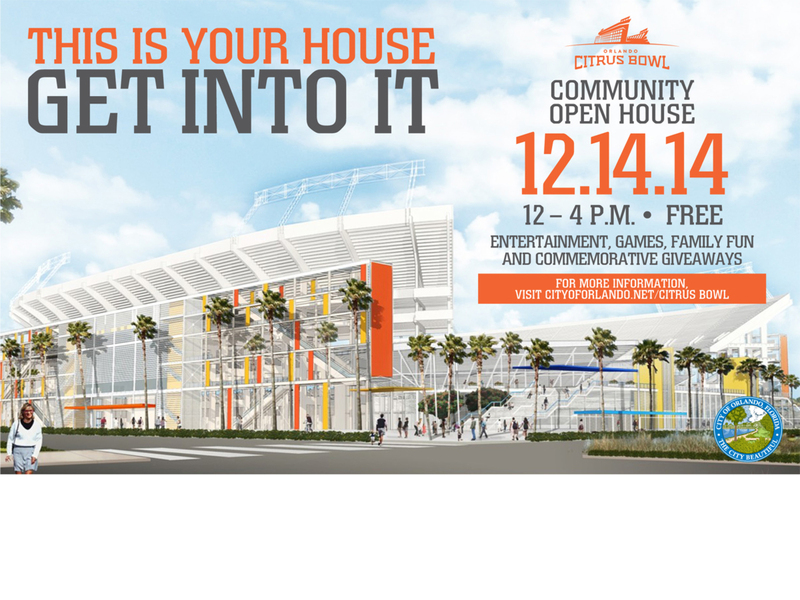 Among the most important of these events was a free community open house. The event was meant to ensure that every Orlando resident would have the opportunity to tour the building. 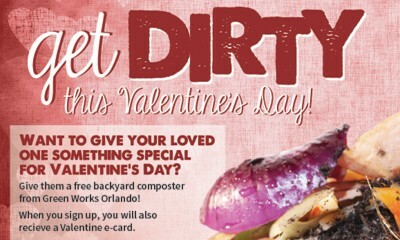 This call to action from Mayor Dyer played into the marketing tagline “This is Your House. Get Into It.” which was used throughout the reopening campaign activities. Goals: The goal of this campaign was to place emphasis not only on the coming national headlining sporting events and concerts, but to celebrate the continued support by the Orlando community for the reconstruction project. 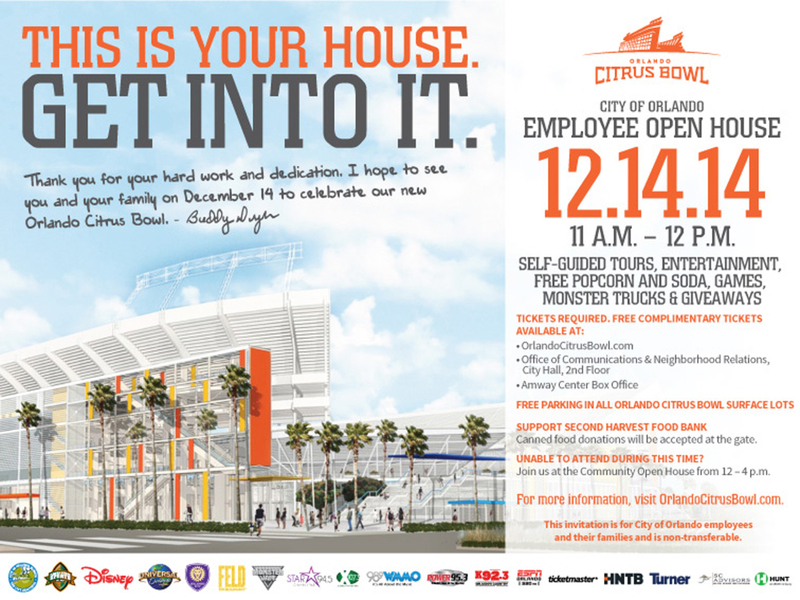 By hosting events that were free to the public and showed the result of the long-awaited reopening, the Office of the Mayor and Office of Communications aimed to embody the theme “This is Your House, Get Into It.” To advertise these free public events, our team launched a multi-platform marketing campaign aimed at Orlando citizens. 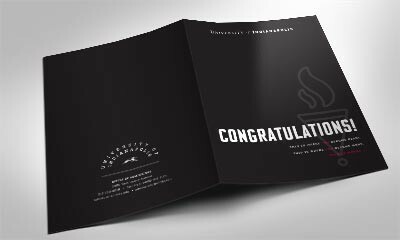 Graphics: Under my art direction, the massive Graphics team achievement aimed to maintain consistency across all platforms and develop effective designs on strict deadlines. 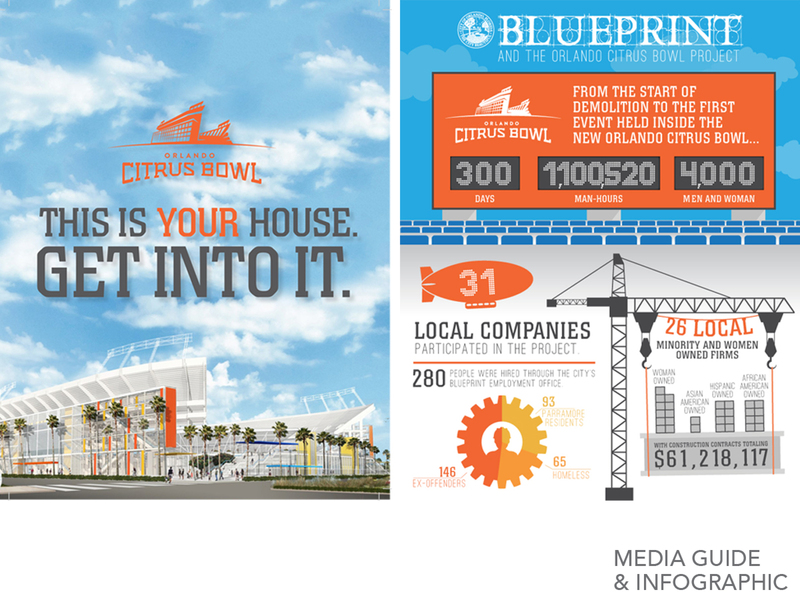 Our office operated as a central hub for communication between multiple departments in the City of Orlando (Office of the Mayor, Orlando Venues, Downtown Development Board) and the City’s partners (Florida Citrus Sports and Cox Media Group). In other major cities, such large scale projects are generally outsourced to marketing firms. Because my team and I have continually earned the trust of multiple Orlando city departments and the Office of the Mayor, we were entrusted to complete the Graphics portion of the project in house. 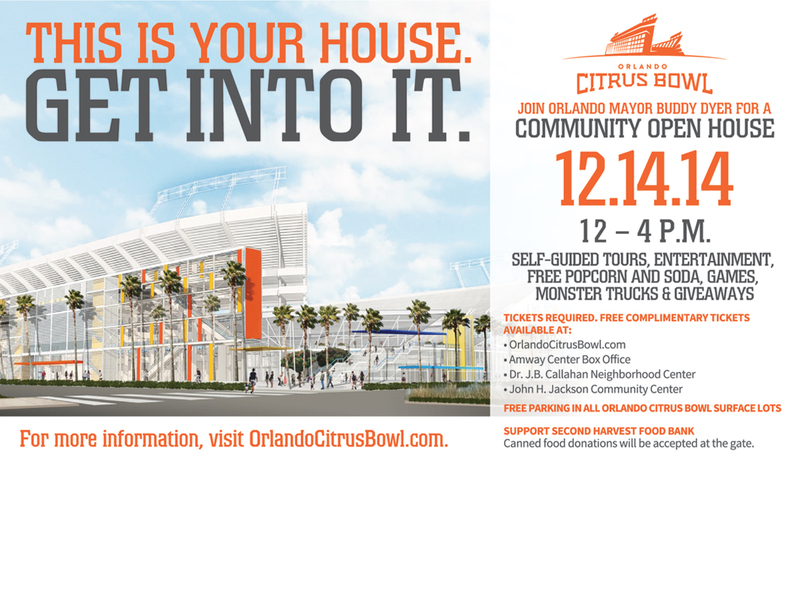 Marketing of the events surrounding the grand opening included billboards, website graphics, video, social media, e-newsletters and printed posters distributed to all city facilities including community centers, neighborhood meetings, Downtown Orlando businesses and City events. 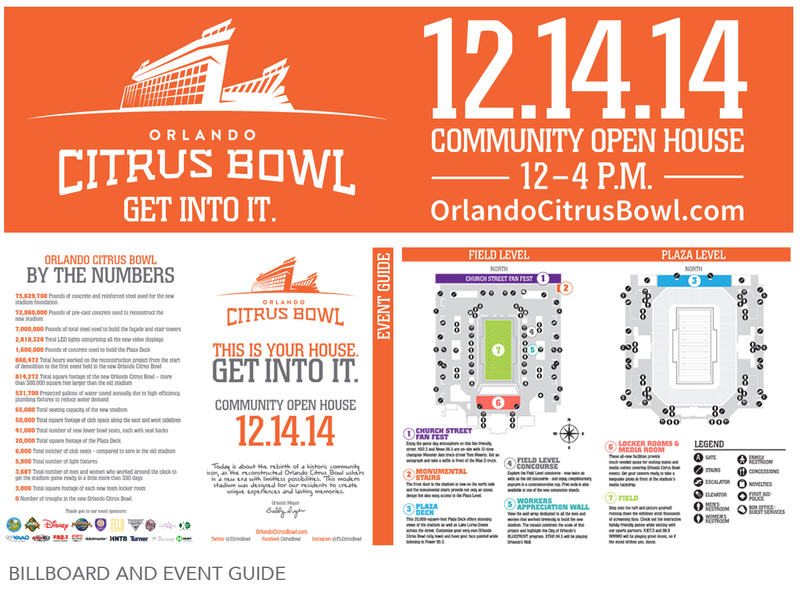 Additionally, a walking tour map of the Citrus Bowl was produced for the Open House, as well as a 52-page Media Guide, complete with infographics. 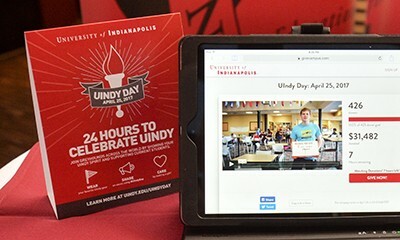 Achievement: More than 13,000 people attended the events surrounding the grand opening.